Tham Sari Rai is from the village of Vijayakharka in Khotang. 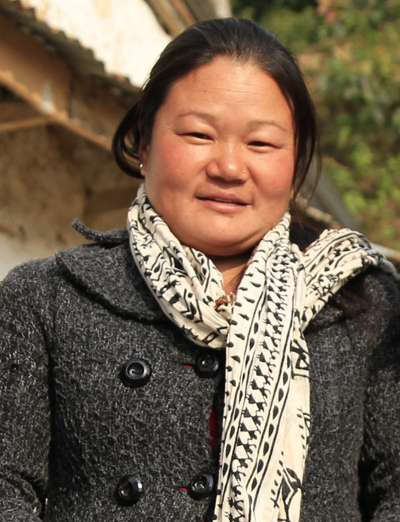 She is the first ever female Agriculture Technician on the dZi Nepal team. She works in Maheshwori in Khotang where we started our agriculture program in 2015. After years of working as a successful farmer and teaching her neighbors how to adopt new farming technologies, she went on to receive her Agriculture Junior Technical Assistant (JTA) certification. She has been with dZi since September 2015.